After having a little preview to summer over the past few weeks with a couple of warm and sunny days it certainly means the summer clothes, shorts and dresses are coming out and I am really looking forward to a hot summer (fingers crossed). What I love about summer is simplifying things, not having to wear layers and accessorising any outfit with some sandals, summer hats and stylish sunglasses - put all of those things together and you have the holiday summer look down wether your travelling abroad or staying closer to home. 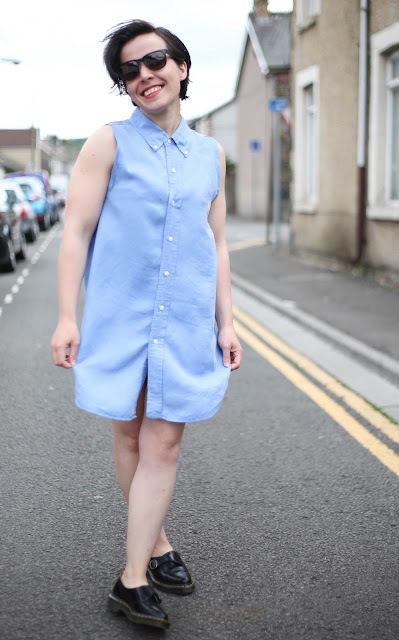 I recently picked up this upcycled Ralph Lauren shirt which has been turned into a dress from Topshop reclaim collection which gives life back to vintage clothes in a fun and modern way, it's also a really ethical choice and I love that most of the collection pieces are one offs. I have paired it up with my Docs and these stylish black Serengeti Sunglasses. 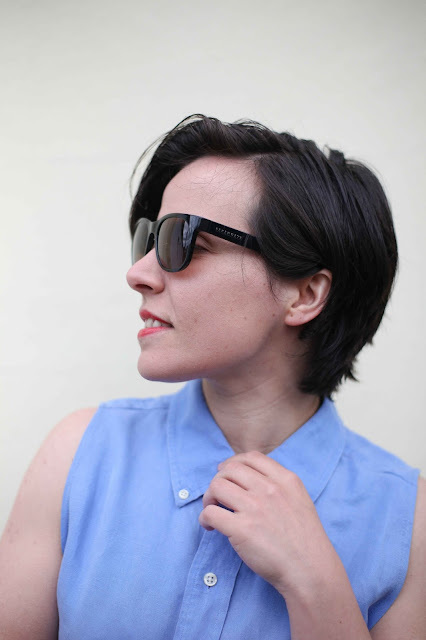 I was offered these sunglasses from Discounted Sunglasses which offers a range of designer shades but for half the price which really is a win win all round. They have a face shape guide to help you make the right choice as well as free delivery and no quibble returns. I was really surprised with the massive selection and is the perfect place to look for a new pair at the start of summer. 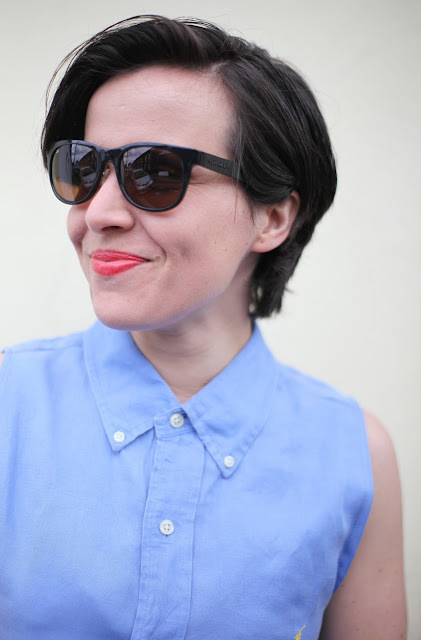 Sunglasses really are my go to accessory in the summer, especially as they hide my tired mama eyes. Thanks to Discount Sunglasses for providing me with a sample product, words & thoughts 100% my own. I love summer fashion too. It's so nice not to have to cover up with a coat. And the colours are so varied. Love those sunglasses, they look terrific on you. That Ray Ban style is such a classic, it'll never date. Those sunglasses are absolutely incredible! And I love the dress too...brilliant for summer! Yeah Topshop have some fantastic upcycled pieces. That's a gorgeous shirt and it's so versatile, it would look great with lots of different accessories.